On March 1, 2019 I started at the northern border of South Carolina, running down Hwy 21 until I reached Port Royal on March 7. Check out my route. 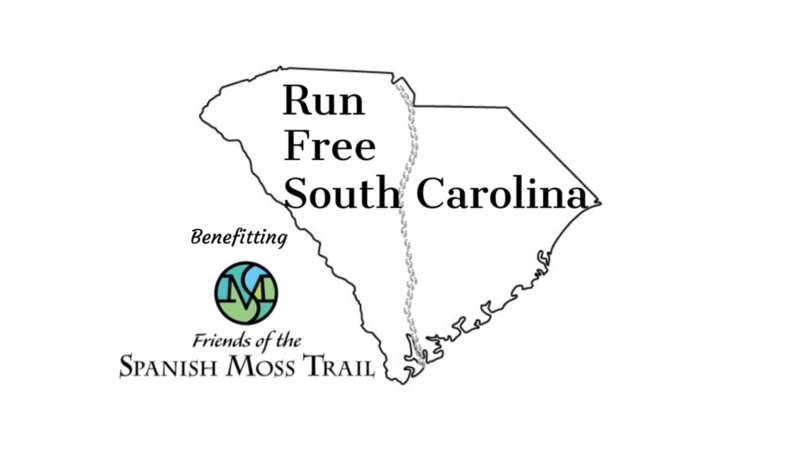 Friends of the Spanish Moss Trail are dedicated to improving the quality of life in Northern Beaufort County by advocating for the development, enhancement and maintenance of the Spanish Moss Trail – through community partnerships, local government participation, and private support. The story of the Spanish Moss Trail begins with the historic Magnolia Line Railroad – established in 1870. Railroad operations ceased in 2003 and in 2008 Beaufort-Jasper Water & Sewer Authority acquired the right-of-way to use as a utility corridor. In January 2011, they granted a surface easement to Beaufort County to develop 14 miles of the corridor as a recreational trail – called the Spanish Moss Trail. Since 2013, nearly 7 miles of the Trail have been developed and are open to the hundreds of people who use it each day, connecting the City of Beaufort and the Town of Port Royal. Through your generous donations, we raised over $3000 for the Spanish Moss Trail!